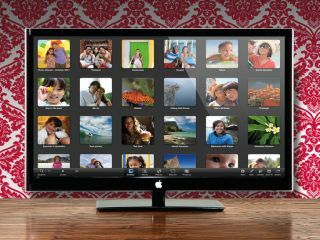 Apple to build iMac with TV functionality? Apple will begin its foray into the flatscreen TV market by building the functionality in to an iMac, one analyst has predicted. In a note to investors, Brian Blair of Wedge Partners said that Apple will bring the Apple TV software to new all-in-one computers in mid 2012 before launching a standalone HD TV. He said: "We think this makes sense because while we typically think about the newest TVs hanging on the wall in large form factors. "Apple could effectively start with what they already have on the manufacturing line and slowly push their offering from 27 inches and scale up from there to 32 inches and then move on to the 42, 50 and 55 inch market." Rumours of an Apple iTV have been circulating for years, but intensified following the release of the Official Steve Jobs biography, shortly after the late Apple co-founder's death. Jobs told biographer Walter Isaacson that he had "finally cracked it" and come with with a TV "with the simplest user interface you could ever imagine." The latest rumours point to Apple launching a Siri-powered connected TV, which would build on the Apple TV set-top box offering and arrive in three sizes, from 32-55-inches.